The Sikorsky-Boeing SB>1 DEFIANT helicopter completed its first flight on Thursday at Sikorsky’s West Palm Beach, Fla., site. The aircraft, developed by Sikorsky, a Lockheed Martin Company, and Boeing, will help inform the next generation of military helicopters as part of the U.S. Army’s Future Vertical Lift program. With its two coaxial main rotors and a rear mounted pusher propulsor, DEFIANT is unlike production rotorcraft available today. 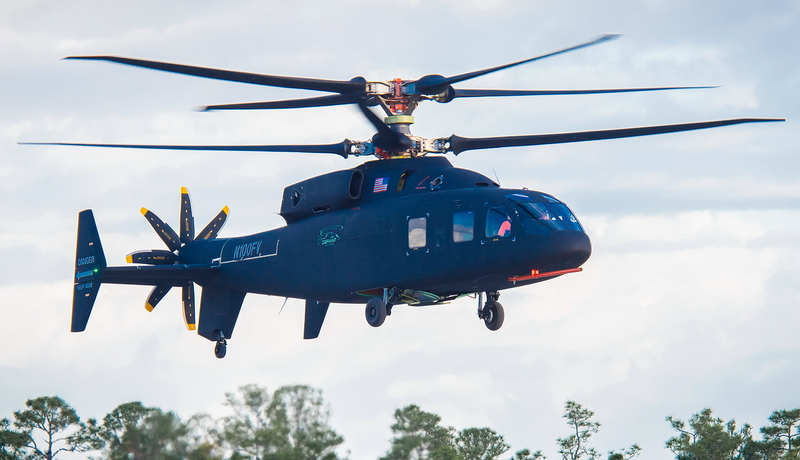 This first flight marks a key milestone for the Sikorsky-Boeing team and is the culmination of significant design, simulation and test activity to further demonstrate the capability of the X2 Technology. See latest HD Video Interviews, Podcasts and other news regarding: Sikorsky, Boeing, Helicopters, Defense.